Can whey protein really help me lose weight and gain some fat burning muscle? Yes it can! Many people ask this question as well as the question below. Why do I struggle with my weight…and more importantly, my waistline? After you hit your 30’s, your metabolism begins to slow down, which means your body is burning right at 200 less calories a day by the time you’re 50. Yes, 200 calories less! So after you turn 30 you also start losing about half a pound of your calorie burning muscle tissue each year (and at 50, that rate doubles! )…which is not exactly a recipe for a slim waistline! We all know that healthier eating and exercise would more than likely fix the problem. Right? No, that is not right at all. Healthier eating isn’t necessarily the answer to this problem. Many so called healthy foods are full of sugar, carbs, and crap that makes you gain weight and store that weight as fat. What is the answer is a low carb diet and the use of healthy fats. I will explain more in a little bit about this and show you some living proof of how to lose that unwanted fat. What about exercise for losing weight? Exercise is great for losing weight if you have the time to actually exercise, but exercise by itself isn’t enough. What do I mean? Exercise without some disinclined eating habits isn’t the answer at all and honestly won’t get you the results your after…if any results at all. Why do I struggle with my weight and how do I fix it? The answer is fairly simple! First off you follow the recommended diet shared in this blog post, then you get yourself on some type of muscle building exercise routine like mentioned in this blog post. As mentioned in the previous blog post yesterday, you don’t have to workout 5 days per week, or spend countless hours in the gym. Instead you simply “make the time” to get your life back on track by scheduling a minimum of 15 minutes just 3 times weekly to workout and build back some muscle that you’ve lost. This muscle will help burn that unwanted fat off your body and help keep it off as long as you continue to stick with the plan. The scales will never change unless you get a plan, get into new habits and stick with it. Many people get in the habit of going to the bar everyday and do nothing constructive for hours upon hours. People also play cards, bingo and other games that aren’t doing anything to help them build some fat burning muscle. And there is nothing wrong with this if that’s all you want out of life, but let’s be honest; what do you really want from your life? We can’t sit around doing nothing and expect to get in the best shape of our lives. And maybe you just want to lose that unwanted fat and look better…which is perfect. I will share with you exactly how I’ve done that and thousands upon thousands of others have to following what I’m about to share with you. The answer is yes! We all need more daily protein and it isn’t realistic to say that we will eat enough chicken or healthy meats to provide us with the necessary proteins out body needs on a daily basis. Protein helps burn fat! Using whey protein can also help you build fat burning lean muscle and look better at the same time. I’m not talking about living on protein shakes or replacing your meals with protein shakes either. I am simply recommending that you consider adding a good quality whey protein to your daily intake and to add some exercise with it. For me that is 185 grams of protein per day. Then it is my goal to keep my carbs and fats considerably less than that 185 gram protein level. Does this always happen? It can if you use an app like I do and enter everything you eat and make sure you hit your goal. But honestly, it doesn’t always workout as perfect as I want. Just being honest! You can use other supplements too that will aid in your weight loss and that will help you build lean fat burning muscle. In the picture below are other supplements that I use daily. If your a woman, then some of these aren’t for you. Check with your local health and nutrition store for what is right for you. I’m sure you are still asking yourself this question, whether you are man or woman. Can whey protein really help me lose weight…and build lean muscle that will help burn fat? The answer is yes…yes…yes. which helps reduce hunger pains the ought the day and keeps me from wanting to snack all the time, or eat things that aren’t good for me. You will also see 100% Creatine in the picture above that helps men build lean muscle and helps you recover from your workouts much faster. For a man, the picture above also shows M-drive which is a testosterone that helps burn fat from your body. For you women, they also make similar products that can help you a great deal. These can be found at The Vitamin Shoppe or your local health and nutrition store. In the picture above is of course a very high quality whey protein as well as a very important piece to the fat loss mystery. That is drinking water. I typically drink a gallon or more of filtered water per day. This is vital to your body and your health. 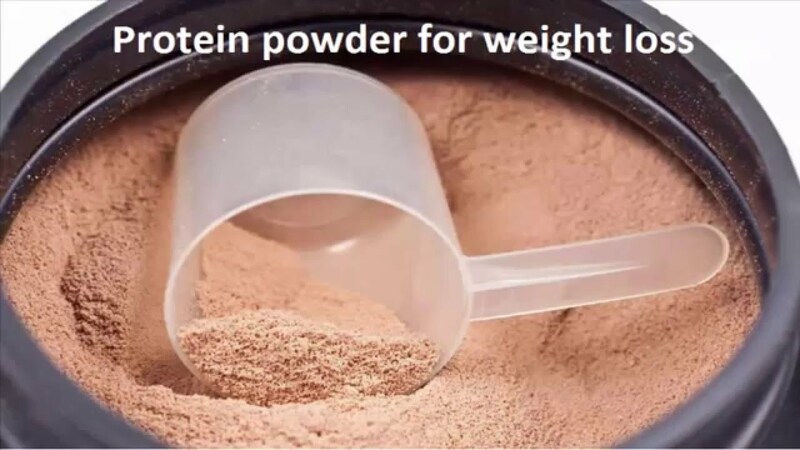 It also helps in your fat loss! Whey protein benefits are to many to list. It isn’t just for weight loss and helping you build muscle, but also for many other health prevention and for health rebuilding. Whey protein benefits also include cancer prevention. When is the best time to take my whey protein? Remember me mentioning that I take in 1 gram of whey protein for each pound of body weight? For me that is roughly 185 grams of whey protein per day. Whey protein should be taken after workouts, or after strenuous work days to help you rebuild your muscles. It is always a good idea to take whey protein right before you go to bed for the night since that is the longest period of time your body will be without food. Are you still asking yourself this question…Can whey protein really help me lose weight? I have had many people, including friends ask this same question. Can whey protein really help me lose weight Mike? I always say; of course…and If you use it properly and with the right diet, then yes it can. I am sharing this website << for you to check out and see for yourself. Watch the testimonial videos of a proven way to lose up to 20# of unwanted fat in just 3 weeks. You will also discover the importance of whey protein and simple but effective short workouts. This is the one fast diet that works and the 3 week diet that is changing lives all over the country. You could be one of those. I can tell you all day long how it’s helped me, and even share undeniable proof with you, but it is still up to you and what you really want. Losing weight is nothing more than a decision. A decision that only you can make. As always, leave your comments below and if you have found results from these products or others, then let me know. Maybe you are still not convinced to whey protein and it’s benefits. Maybe you are silently asking yourself this same question that use to ask myself…”Can whey protein really help me lose weight”? P.S. Want to lose that gut quickly and keep it off? Or maybe it’s extra weight on your entire body that you are wanting to shed? Either way, make sure you check this << out right away and see what I have used to shed belly fat fast. Before using this product and learning the benefits, I was asking myself; can whey protein really help me lose weight.